An Addition Can Benefit the Whole House. 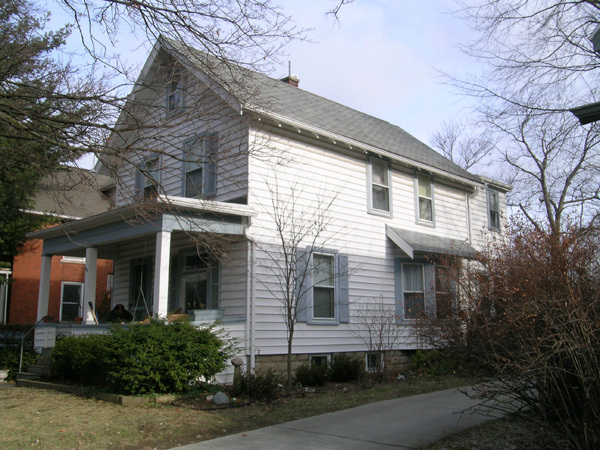 An addition can be a good opportunity to cure some of an existing house’s energy evils. An addition offers an excellent opportunity to incorporate benefits for the whole house. For instance, if an existing building is sited poorly for solar gain and daylighting, look into the possibility for using windows, skylights, and solar massing in the addition that can add heat to the house. Or, in a hot climate, plan an addition that can shade other parts of the house. But keep in mind that adding onto a house might not be the greenest course of action. Before you plan to add out with a new foundation and floor space, consider adding up, which uses fewer materials and is less disruptive to a site, or discuss with your clients how remodeling or reconfiguring their existing space could save money and tread more lightly on the environment. Figure out how an addition will be used before you decide on its size. A new space shouldn’t be any larger than it has to be. Keeping the new space as small as possible pays dividends in at least two ways: by keeping construction costs low and by reducing operating and maintenance costs. A smaller addition also makes less of an impact on the site and the neighborhood. Will the new space be flexible? Wiring, window layout and accessibility can be planned with future flexibility in mind. For example, interior partitions can be non-load bearing so they can be moved in the future without affecting the structure. Wiring can be accessible for changes or additions. Can the new space heat and cool itself? Keeping conditioned space to a minimum means lower construction and operating costs. 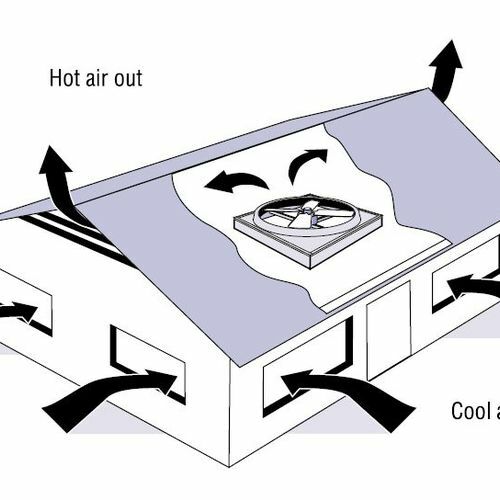 By taking advantage of the sun and creating a high-performance building envelope, it may be possible to downsize or even eliminate heating and cooling systems. 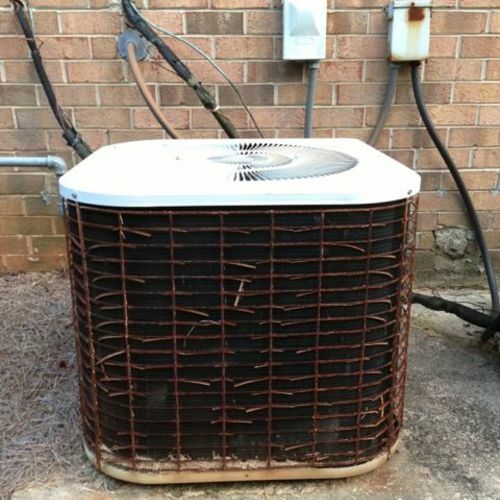 With an energy-efficient design, installing small heating and cooling equipment may be more economical than extending ducts or hot water heating lines to the new space. An experienced professional engineer or energy consultant may be needed. How will the new space affect the durability of the house? An addition may increase the exposure of the existing structure to rain, snow and wind. A low-slope valley that was barely shedding rain and snow in the past may be overloaded by a new addition. What type of foundation is best? Choices include a full basement, a crawlspace, a pier foundation or a slab on grade. Full basements require the most materials and site work but they offer a lot of storage or living space. A pier foundation is often the least expensive option. Conditioned crawlspaces are less prone to moisture problems than vented crawlspaces. A slab can be an economical choice and pairs well with passive solar designs and radiant-floor heat. Climate, soil, site conditions and the foundation of the existing structure are other factors that should be weighed when choosing a foundation type. Disturb as little of the site as possible. Make sure the earth around a new addition is sloped away from the structure to keep water from pooling at the foundation. Use trees and shrubs to provide shade in summer and keep the addition cooler. Use permeable materials on new walkways and driveways to promote drainage and reduce runoff. Control moisture at footings with a perimeter drain. 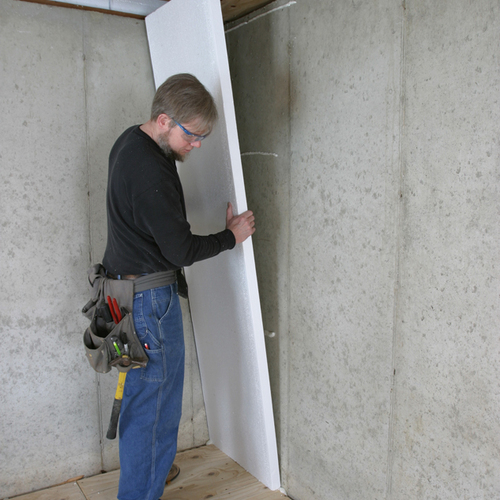 Control moisture on foundation walls with damp-proofing or waterproofing. Insulate floor slab and foundation walls. Use concrete that contains fly ash. If necessary, install a radon mitigation system. Use bio-based form-release agents or permanent forms when placing concrete. 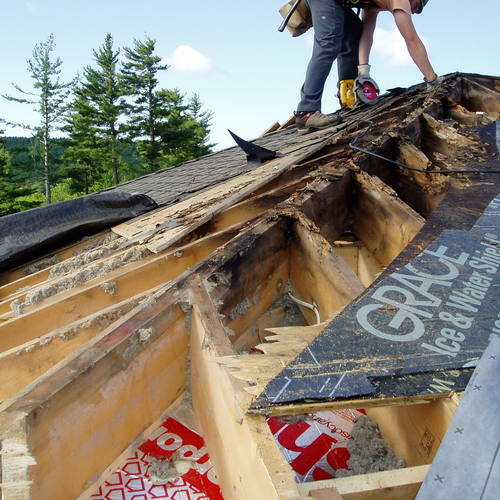 Use FSC-certified framing lumber, sheathing and siding. Use insulation with no formaldehyde. Specify window glazing according to orientation on the house. 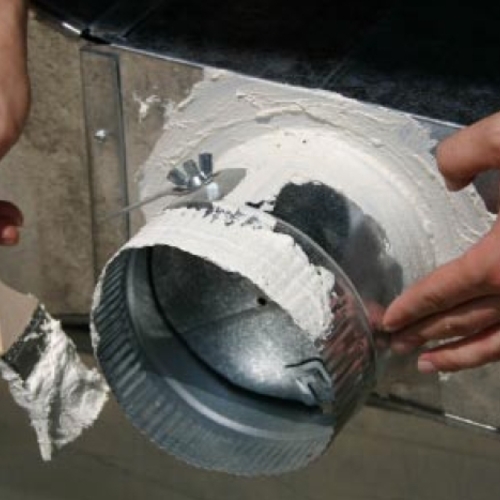 Air seal the envelope, and use durable siding. BEFORE BEGINNING. The owners had lived in this house for 20 years and wanted an addition that would make the house just right for the for the next 20. 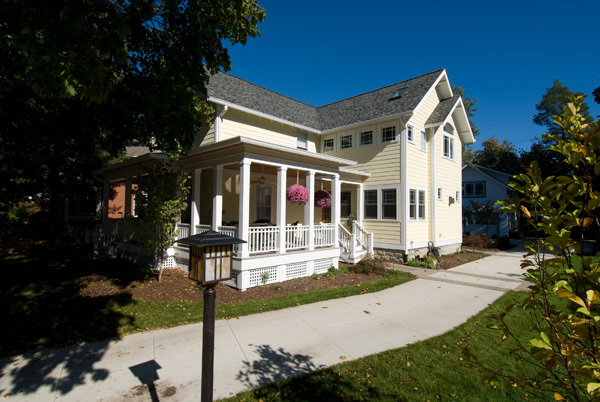 A 674-square-foot addition was added to this 1,615-square-foot 1920s Crafstman-style house to make it more functional for the owners, who had lived there for 20 years and planned to live there for 20 more. They wanted an addition that would fit their traditional neighborhood and not dwarf their neighbors’ homes. Their decision to make a small addition with a focus on energy efficiency and durability significantly reduced the environmental impact of the project. ROOMS WITH PLENTY OF STORAGE require less square footage. 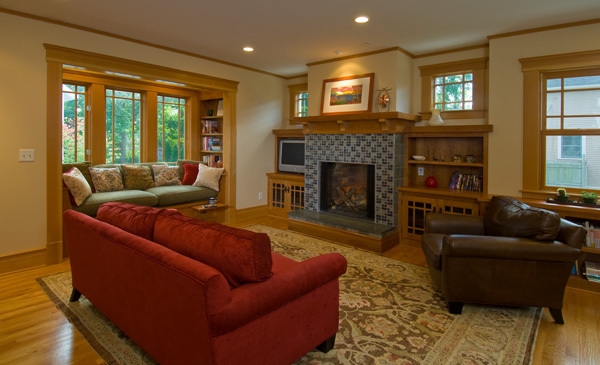 The designer of this project, which includes this family room, used built-in cabinetry in almost every room. The owners wanted a master-bedroom suite, a new family room to supplement an existing tiny living room, and a bit more space, including a separate bathroom for their two kids. To make the most of the home’s relatively small footprint, the existing space was reconfigured and a variety of built-in features were installed. The new master bedroom was designed with a built-in bed that integrated storage. The second-floor bathroom was reconfigured for the children and guests, and the existing master bedroom became a guest bedroom, a portion of which was adapted as a hallway to the new master suite. The front porch also was enlarged. The high-velocity air conditioning and radiant floor heating systems were carefully extended so that the existing boiler and air-conditioning equipment could handle the additional space. The roof of the addition was designed so that the raised heel trusses, used to improve energy efficiency, would align with the existing roof. SMALLER IS BETTER. Rather than build a giant addition that looked out of place, the designers of this project kept it small, so as not to dwarf the neighboring houses. 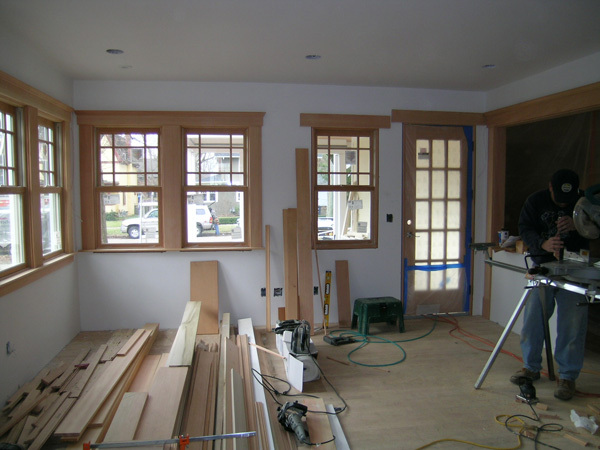 WINDOWS IN THE NEW FAMILY ROOM bring daylight to the rest of the house. Under the floor, a radiant hydronic system provides heat. The architect noticed that the contractors had rerouted the ducting for the passive radon remediation system, effectively eliminating the stack effect that would pull the radon out; this was explained to the contractors and corrected. The homeowners often did not have enough time to make decisions. For example, they found it hard to get good information to compare the long-term energy costs of different hot-water energy systems, ultimately deciding to take the hot water off of the existing boiler, but they would have liked to have felt more sure of that decision. They made other trade-offs, such as choosing fiber-reinforced cementitious siding and vinyl trim because the long life and low maintenance requirements of the product would overcome its environmental downsides. The team’s goal was to make the small space pleasant and energy-efficient using durable, low-maintenance finishes. 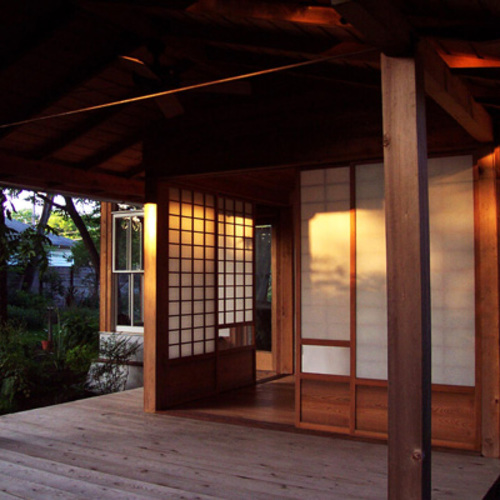 The architect, contractor and interior designer had all worked with one another before, which made it easier to pursue alternative construction techniques. The architect took the lead in defining the space, but having the interior designer involved early on allowed her to help in determining an optimally functional layout. The homeowners factored in long-term finance costs as much as possible, recognizing that lower maintenance and repair costs later would be the return on initial costs for energy efficiency and more durable products. Money that might otherwise have been spent on building a larger addition instead went into quality features, such as custom built-ins throughout the house. LEED for Homes LEED for Homes only applies to gut rehab remodeling projects.